At last! 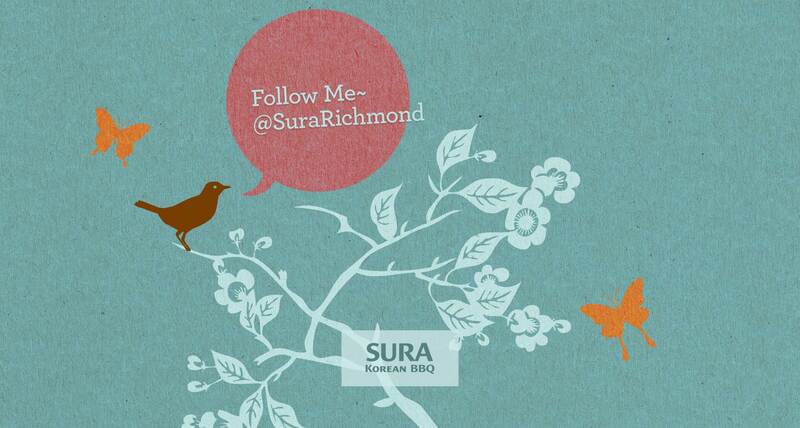 SURA Korean BBQ Restaurant Richmond has acquired the brand spanking new Twitter profile: @SuraRichmond. You can see our updates without becoming a member of Twitter, but you need to sign up if you want to talk to us (dud~ harhar). We’d use it to keep good people on twittersphere updated with what’s happening. We tweet links to our latest news, events and promotions, as well as urgent messages that we need our customers to see eg the restaurant stays open extended hours due to a special event. Oh, did you know our Robson location got a new Twitter username? It’s @SuraVancouver (! I know!). If you would like to follow SURA Korean Cuisine restaurant Vancouver, simply click here and click the ‘Follow’ button!